Nova Wood Floors (2008) Ltd is owned and operated by Tylan Chang and the Tait family of Nanaimo and have been in the Nanaimo flooring industry specializing in hardwood flooring since we began operations in January 1990. 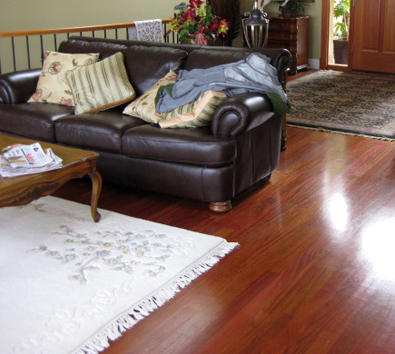 At Nova Wood Floors, we focus our attention on quality, expertise and customer service. Nova Wood Floors operates from an office at 6015 Hammond Bay Rd, Nanaimo, B.C., Canada. We service the mid Vancouver Island area (Comox to Duncan to Port Alberni) providing custom hardwood flooring installation, sanding and finishing (or refinishing) as well as maintenance products for your wood flooring. Before making any decision on hardwood flooring, it would be wise to contact Tylan to view the excellent selection of quality hardwood flooring and maintenance products. We also offer in-home consultations and free estimates within a 20 km radius of Nanaimo. Estimates requiring travel beyond this distance are charged a nominal fee of a fuel charge which is credited on the final invoice, when the work has been competed. Our specialty is unfinished hardwood flooring but we also carry a variety of prefinished hardwood.